The Deed of trust is a document that gives lender the right to sell the property of the borrower if he or she is unable to repay the loan. This is a special kind of deed which is recorded in public records to indicate that there is a lien on your property. This document is a deed to the property which gives lender the right to sell the property if the borrower does not meet the loan terms. The document has much in similarity with the mortgage agreements. A deed of trust involves three parties: the borrower as the trustor, the lender as the beneficiary and a neutral third party as the trustee who holds title until the lien is paid. 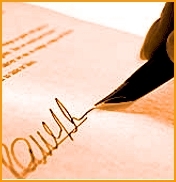 On signing a deed of trust the borrower or the signatory is in effect giving the trustee title (ownership) of the property, but holding on to the right to use and live in it. The lender or trustee holds the original deed of trust until the home loan is repaid. The deed of trust has much in common to a mortgage so much so that many states use a deed of trust instead of a mortgage. In this case too the borrower continues to hold the complete legal title to his or her property but the lender is provided a lien on the property. If the borrower misses the mortgage payments, the lender can foreclose on the property. The only difference between Deed of Trust and Mortgage is that the deed of trust involves a third party called a trustee who acts on behalf of the lender. This is usually a title insurance company. Also unlike a mortgage, a deed of trust gives the lender the right to foreclose on the property of the signatory without taking him or her to court first.